Bike share stats for all. I keep getting questions about Mobi stats these days. Rather than ansering them one by one I decided to just offer a live view into data generated by our shadow API. I made two simple views, the most recent month of daily bike checkout counts and the most recent week of hourly bike checkout counts. The data issues mentioned in our previous post still apply. For data geeks, here is a link to a very useful paper that compared estimates like I make to real usage data. 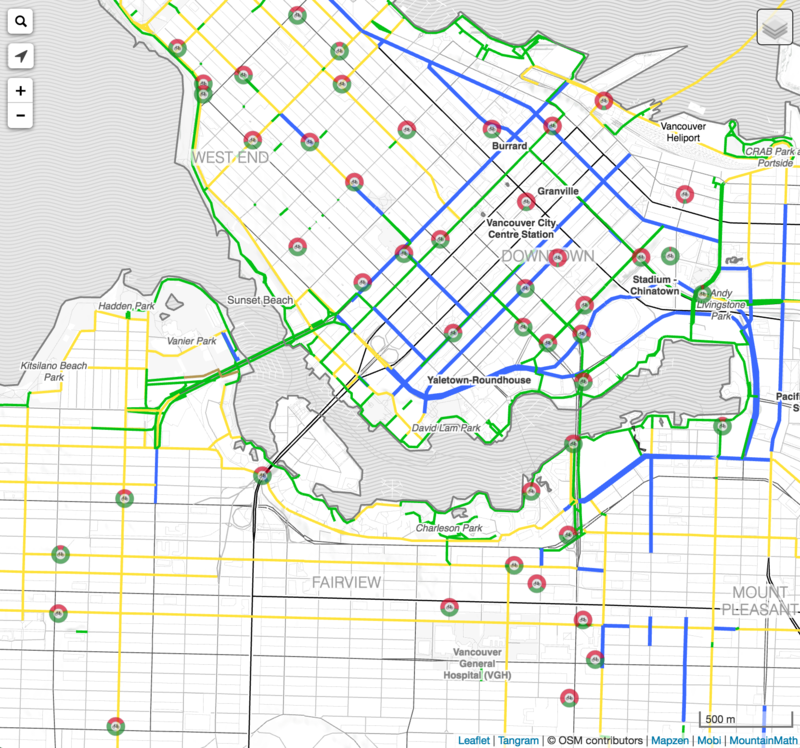 Vancouver finally has a bikeshare system. And everyone is hoping it will succeed, despite the obstacles BC’s mandatory helmet law poses for the system. So we are eager to find out how things are going with Mobi. 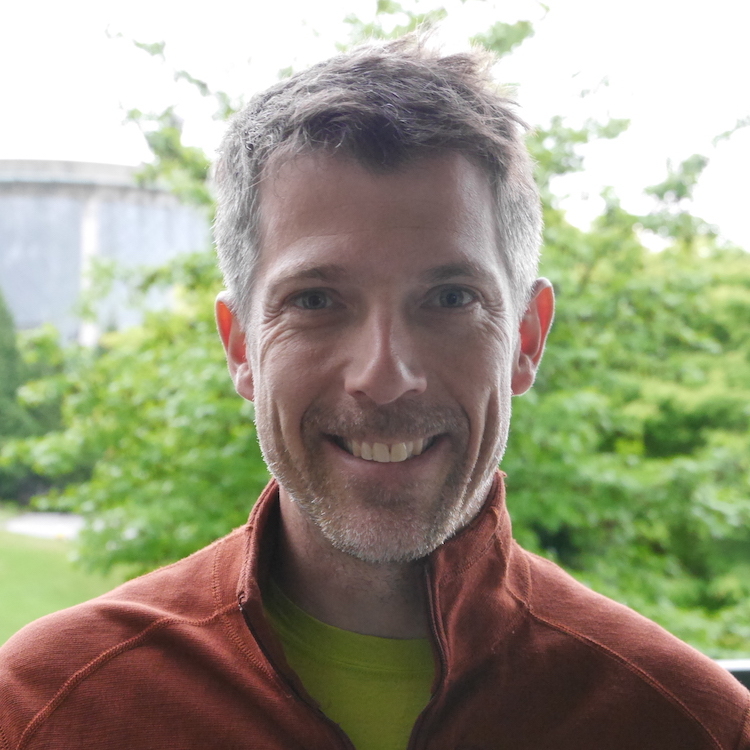 To set the background, consider that Seattle’s Pronto is getting less than 1 ride per bike per day after half a year in operation. In comparison, bike shares that are considered ‘successful’ in North America get 3 to 5 rides per bike per day. We weren't fond of Mobi's map, so we made our own. It is no secret that we at MountainMath like bikes. And maps. And open data and sharing. We guess you know where this is going. Vancouver has finally gotten a bike share system, and we are loving it. 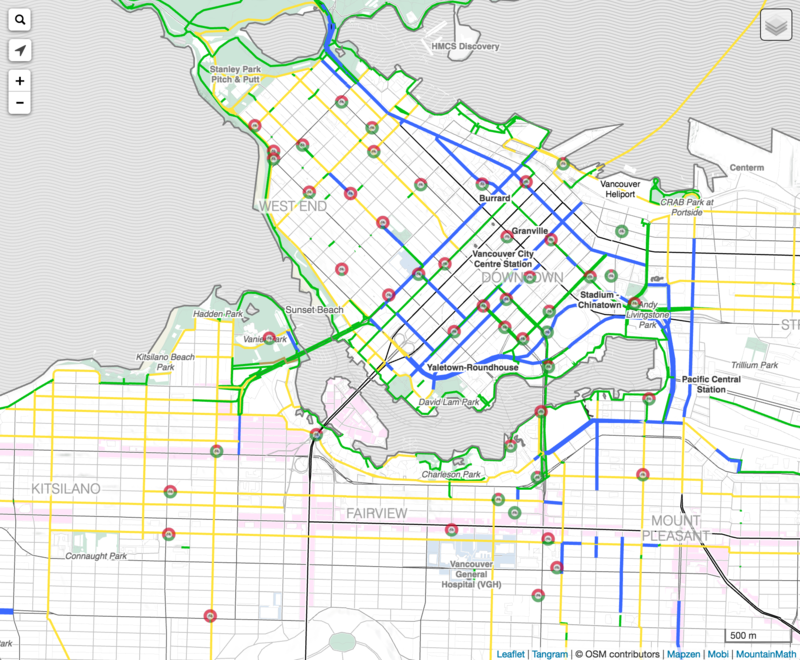 So we took the occasion to take our old bike infrastructure maps, polished them up a bit using Mapzen’s bike map style and adapted it for our purposes. 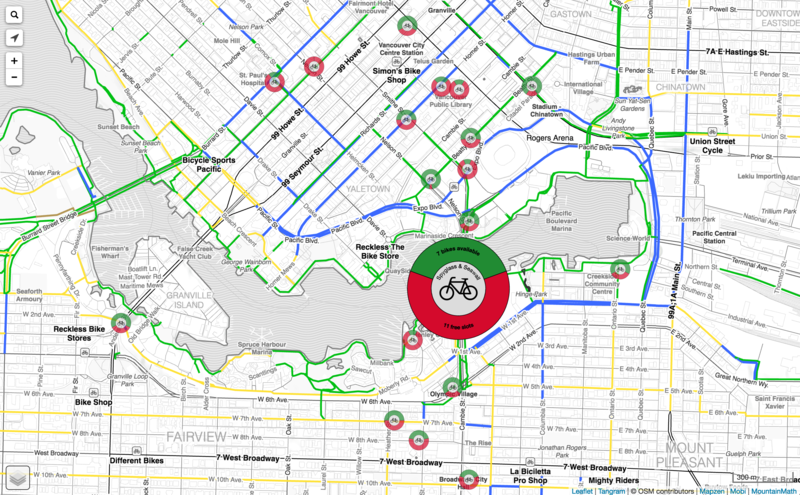 The result is our Vancouver Bike Share Map. The beauty of building things with global datasets. 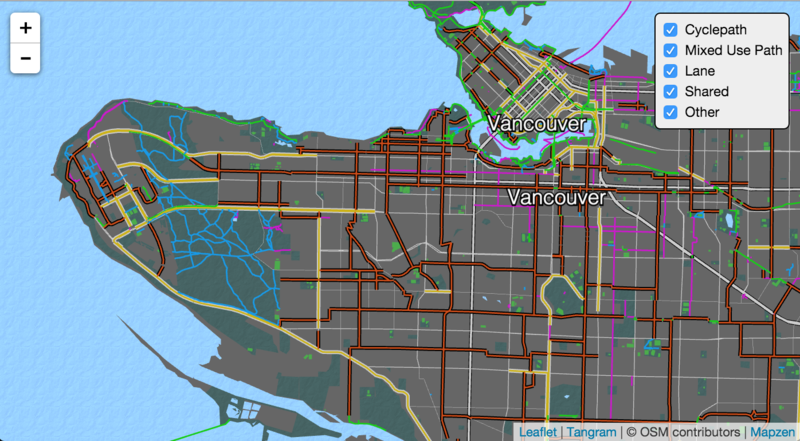 Last week Mapzen announced that they included bike data in their OSM vector tiles. That’s just what the doctor ordered to continue on my path towards the perfect bike map that I started on, explored routing and looked at improving OSM bike data. Now that I don’t need to extract bike data myself any more it is time to take these maps global. And maybe add some minor improvements. Maps live and die with the quality of the underlying data. 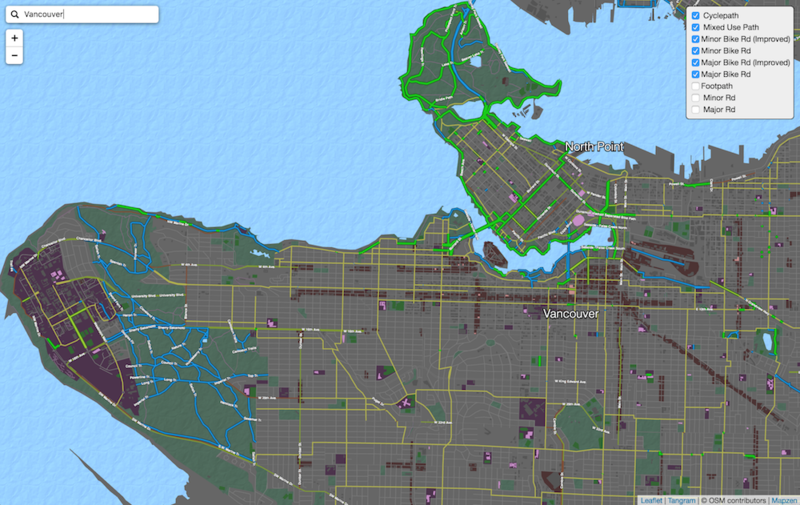 So I decided to dive a little deeper down the OSM bike data rabbit hole. Task number one was to expand display data for a wider region. My primitive workflow to pull data out of OSM only allows for extracting a quarter of a degree at a time. For playing around with all of Vancouver’s data I again turned to Mapzen for their metro extracts as a convenient shortcut for OSM data.